During the day, they innocently move through Whittier Tech’s hallways heading for their classes and shops, but at night they transform into monsters who will gleefully terrify you in the dark. For a second year, seniors Jada Wood and Brittany Chaput have seasonal jobs as actors at the Halloween attraction Screeemfest at Canobie Lake Park, which runs for five weekends through Oct. 27th. Brittany, 17, a Graphic Arts student, is stationed in one of five houses known as Facility 235, where she wears a lab coat, and others are in Hazmat suits and gas masks suffering from the fallout of a nuclear explosion. The unluckier ones have chemical burns, and their mottled skin is melting down their faces. About 100 actors, most of them in high school, work the five haunted houses, which are linked together with a walking path and attract thousands of patrons each year. The house sets are built among the amusement park rides which are open during the annual event. During dress rehearsals, the actors are given some direction by house leaders, but much of their character interpretation is up to them. “We all enjoy acting,” Jada said. 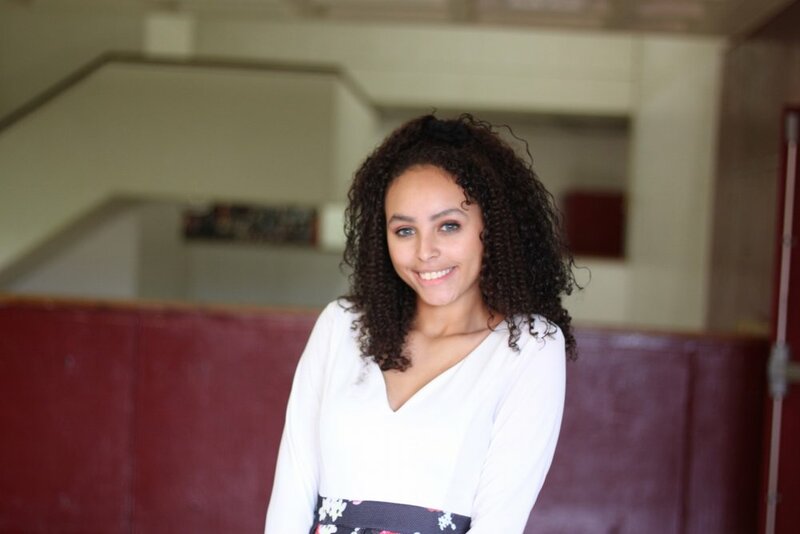 Brittany has performed in school plays each year in and outside of Whittier, and Jada plans to get involved with community theater. Both have fond memories of attending Screeemfest as young children and wearing the Monster be Gone necklaces. But now, because they are monsters themselves, seeing them on others annoys them. The flashing red necklace indicates they should not jump toward or attempt to scare the children and adults who wear them. The actors report to a make-up trailer 15 to 30 minutes before the show to have fake blood, gelatin, latex, and even horns applied to their faces. Their appearances are so creepy that, sometimes, they have scared each other. During a dress rehearsal, Jada “freaked out” when she saw girl lying in a pool of blood in a bathtub. In addition to Facility 235, there is: Carnivus House, where the clowns eat the customers; Canobie Lake Hotel, which has been abandoned since the early 1900s because its guests were never seen nor heard from again; The Culling, where there have been unexplained disappearances thinning the herd; and The Village, where horrific mining accidents have occurred.